1; no one in Iran would have thought so something can be Poland, "emphasizes the ambassador. 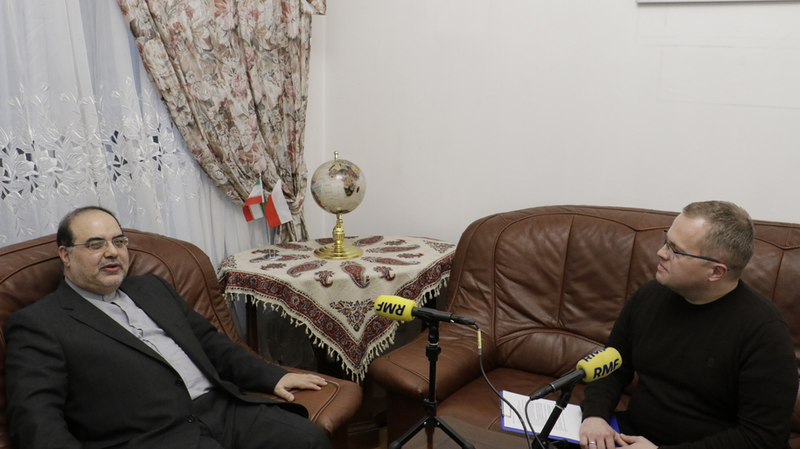 Grzegorz Kwolek: Our guest is Ambassador Masoud Edrisi Kermanshahi. You have been in Poland since September. How did Poland adopt you? 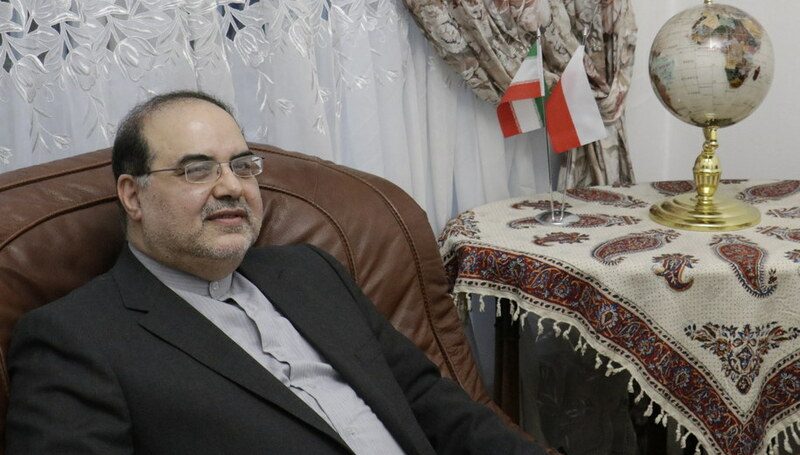 Masood Ambassador Edrisi Kermanshahi: As you know, relations between Iran and Poland have a very long history and have always been friendly. That is why I was very well received by both the Polish Government and the people. We meet for information about the Polish-American conference, which deals with the situation in the Middle East. When did you hear about her and if Iran was invited to her? I heard about this conference on December 28 last year during a meeting with Deputy Secretary of State Maciej Lang at the Ministry of Foreign Affairs of the Republic of Poland. He then informed me that a conference should take place in cooperation between the Republic of Poland and the United States. Iran, an important and influential country in the Middle East, has not been invited. And do you think that should be the case? On Monday you once again spoke to Vice Minister Maciej Lang. Has such an invitation been published? What did you talk about? The topic of our conversation was mainly the position of the Iranian I gave to this conference. I have expressed my deep concern about the organization, we consider the conference anti-Iranian. I told the minister that we treat him as a threat to our national security and as a hostile step. Of course, during that meeting I asked the Polish side, in the person of your Deputy Minister, to cancel this conference. And if it has to take place, then it is about the choice of the topic, so it has no anti-Iranian character. 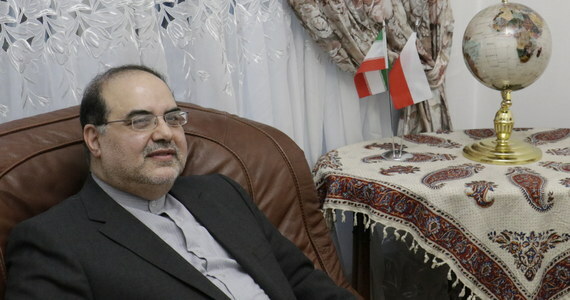 The Tehran Times quotes Kamal Kharrazi, head of the Iranian International Relations Council, who said that this conference, also run by the United States, is "a betrayal of Poland." Do you think that this conference is in the interest of Poland? And how will this affect Polish-Iranian relations? The results of this conference will be very negative for our mutual relations. This will have serious consequences for the relations between the two countries. I will ask what the Iranian Foreign Minister wrote at previous conferences on Twitter: Those who participated in them "are either dead or out of favor or marginalized". , How do I get it? Is this a form of threat? Minister has said certain facts and wanted the Polish government to consider the fate of conferences previously organized by the US. Not only did they not achieve the desired result, they were almost counter-productive and failed. All the more so since, in our opinion, the acceptance of the host's role by Poland probably took place under the pressure and pressure of the United States, possibly under the influence of promises and possibly even threats. We believe – and the minister wanted to emphasize that Poland should not benefit from the organization of this event. Let's face it the consequences for Poland. At the moment we know about the canceled festival of Polish films in Tehran. Will this festival take place? Under what conditions And if other events were canceled or will be canceled? It is likely that the organization of this conference will have very negative consequences for the relations between the two countries. Political, diplomatic and cultural relations. Given our past, the very good relations and attitudes that we have in Iran to this past, especially considering the aid that Iranian society granted to Polish refugees from the Soviet Union during the Second World War, no one in Iran would have thought that Poland can be the organizer of something like that. For example, if such a conference took place in Saudi Arabia or Bahrain and I speak of these countries because we have unfriendly relations with them or have no ties at all, we would not be surprised. But we did not expect that it would go so far from the Polish side. You mentioned a common story. World War II, beautiful cemeteries of soldiers of the Anders army and Poles, who were then under the protection of Iran. Can this conference somehow influence Poland's efforts to renew these cemeteries and restore their splendor? I do not think this will happen. After all, this is a story from over 70 years ago. So far, the government of the Islamic Republic of Iran has seriously taken care of Polish cemeteries, and I doubt that this worry will be the victim of some of the problems that arise between us. Traditional Iranian hospitality includes both the living and the dead. According to the Muslim tradition, the tomb is unassailable for 30 years, but after 30 years another person is buried. This is a normal matter. The Polish tombs in Iran are obviously already 70 years old. We have not done any such action at this time and we will not do so with certainty. I will ask about the economy. This exchange started some time ago. In March came the first Iranian oil transport, Polish companies want to invest and deal with Tehran, Poland apply for a visa … Will this conference influence cooperation? I have to stress this after signing A 2015 nuclear deal that lifted the sanctions started an interesting period of economic exchanges between our countries. The process of buying oil through Poland has started, and your companies are involved in projects in Iran. Unfortunately, after the United States withdrew from the agreement, this collaboration began to waver. Poland has an attitude, expectations, what will happen and adopted this situation. The unilateral sanctions imposed by the US have been restored and are contrary to the resolutions of the UN Security Council and the policies of the European Union. Unfortunately, Poland has enrolled in this American policy and in fact supported the US sanctions. Until the conference was less than a month. What will happen when it comes to realization? These consequences can be reduced if the Polish government, as the host of this conference, tries to change its formula. Especially in content. If Poland succeeds in redirecting some of its accents to the real problems of the Middle East, to those who have been tormenting the region for years, such as the Palestinian problem, such measures would be very useful to mitigate the conflict and mitigate its consequences. This is the most urgent problem of the Middle East, which triggers another. Also Syria, where various extremist and terrorist groups such as ISIS and Front al Nusra are still active. This devastating conflict lasted seven years. Also the issue of Saudi Arabia's activities in Yemen, where crimes are also committed where civilians have been bombed for four years and humanitarian aid is not being achieved. If this conference was about all the issues that are real Middle Eastern issues then our relations would still be very good. It would be another advantage. Such a conference would play a very important role in increasing the importance and reputation of Poland in the international arena.
. Thank you very much.